As much as I try to wedge in useful vegetable crops into various parts of my tiny suburban back yard, there is just not enough cultivatable space to grow enough that our needs for seasonal vegetables can be satisfied from it, day in, day out, year in and year out. Oh, certainly, we have gotten good things from the garden – especially potatoes this year. Sing ye the glories of home-grown potatoes, so tender, so luxuriously velvety that we didn't know whether to eat them, or slather them onto our hands like skin cream. I got one good squash, a fair number of okra pots, and all the fresh herbs I could use – 'Twas ever thus; herbs in plenty – other edibles, not so much. There isn't the custom in this country of garden allotments, as there are in England, Europe and Russia; small plots for personal cultivation on the outskirts of towns and cities, intended for the use of apartment and townhouse dwellers. I have often read that for most of the last half of the 20th century, ordinary Russians city-dwellers were almost entirely fed from what they could grow in their relatively tiny allotments. And it's not like I have the time and energy for any more gardening than I do already. But I still want fresh and seasonable garden produce, and enough of it that I can process that portion which cannot be consumed fresh; home-canning, freezing or drying it for later use. After a couple of years of diligent efforts in that direction, I am concluding that my own yard is not the complete and wholly satisfying fulfillment of that ambition. It's not big enough, I am not that much of a genius at microscopic-acreage farming, and I simply do not have the time, anyway. 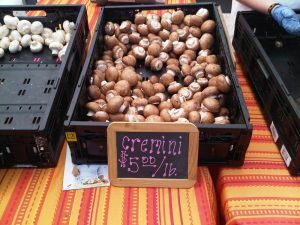 So – searching around for a means to that end, I did a brief exploration of local farmer's markets. Alas, I was accustomed to the street farmer's markets in Greece, where the street in particular neighborhoods was blocked off on one day a week, and all the local truck farmers would show up with a load of fresh produce ... fresher than fresh, and cheap as the dirt which was still usually on root crops like potatoes. Also – they were cheaper and better quality than in the local supermarket; a retail location which just barely counted by American standards as a supermarket anyway. 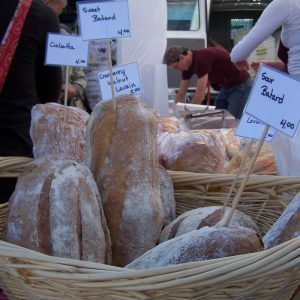 Our local farmer's markets do provide the high-quality produce – and meat – and eggs – and all sorts of other lovely edibles, but with certain exceptions, the prices are not a bargain. Which I regret, because I would dearly love to support small local enterprises ... but not at those prices. 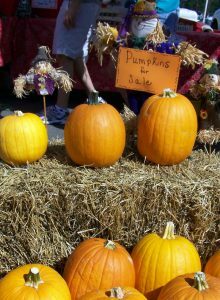 So, I will explore the options available with local farmers though something called 'community supported agriculture'. Basically, you pay a regular fee ... and get a weekly share – usually in the form of a basket of whatever produce has been harvested from the farm that you have bought a teeny share in. As the saying goes – you pay your money, and you take your chances. What you get in your weekly basket from your chosen farm is yours to do with as you choose. 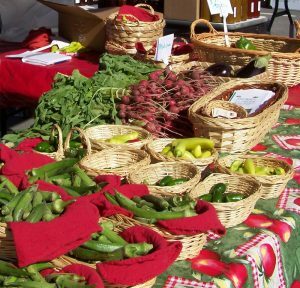 In last week's community market in Bulverde, we had a booth next to one of those little local truck farms which offers such an option – and I think that I will give them a call, and see what they can do for me.